CBC News “Go Public” ran a story recently about the “dark secret” of religious schools. Initially, the story got a lot of attention, but was then swept away as the SNC-Lavalin scandal took on new life with Minister Jane Philpott’s resignation from the federal cabinet. Nevertheless, the “dark secret” of the Surrey Christian School in B.C. managed to ignite a social media frenzy. Thousands of Canadians took umbrage at the “discriminatory” nature of religious schools receiving government money while requiring teachers and staff abide by the schools’ code of conduct. It is simply untrue, however, to imply that Christian schools are “dark” because they expect staff to abide by the contracts they voluntarily sign. Rather than dark, it is luminescent. Expectations are transparently clear from the get-go. It is not arbitrary. It is a statement of what the religious community lives by and, as we see from time to time, are evaluated by. The concept is not unusual: all employers, whether religious or not, establish standards for their employees. Specifics may vary, but as long as they are lawful, we accept that certain restrictions are not only normal but necessary to maintain the integrity of an institution. Nor is it a secret that Christian schools hold their staff to the agreement. In most cases you will find that religious schools have their statements of belief posted on their websites for the world to read. The reason is obvious. They are carving out a haven, distinct from the society at large, so that they may live their lives in accordance with their conscience. Their standards may not appeal to everyone, which is precisely why they have established institutions separate from the public system. Their beliefs are not being imposed on anyone who does not voluntarily choose to work or study in that unique environment. Secondly, Christian education of young people is not new. It’s been around for a while – thousands of years, in fact, in one form or another. No secret. Perhaps society has forgotten, but that doesn’t mean Christian schools have been hiding furtively, trying to cover their dark misdeeds. Unfortunately, it seems the public is only reminded when a disgruntled member of the community is upset that their religious commitment has been weighed and found wanting. As traumatic as that experience may be, it gives the public no right to remove the freedom of the religious community. Religious freedom is a pillar upholding our democratic ideals. It is a load-bearing beam that supports pluralism and respect for difference in a peaceful society. We must recognize that others are free to hold beliefs that may cause us discomfort, just as we have the right to embrace our own convictions. Religious freedom is a pillar upholding our democratic ideals. It is a load-bearing beam that supports pluralism and respect for difference in a peaceful society. As to the question of public funding, it’s worth noting that private schools in Canada have been receiving government money since 1867, when the Constitution made provisions for religious education. Some provinces did fund private schools but now no longer do, as in Newfoundland. Others continue to do so, as in British Columbia. But as a basic principle, there is no reason why religious taxpayers should not receive some funding from the government to ensure that their children receive competent education. Compared to the cost of funding students in the public system, governments save money when it comes to Christian schools. 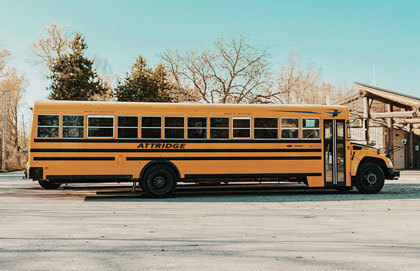 Recently CBC reported in Alberta that if all of the 34,754 kids in private schools suddenly attended public school, the province would have to pay $117 million more for education. Plus, in most cases, government funds cover only a fraction of the expenses involved in running a school. The shortfall is made up by parents and by the religious community. But the debate is not just about dollar signs. Underlying many comments about funding is a contempt for Christian schools in the first place. 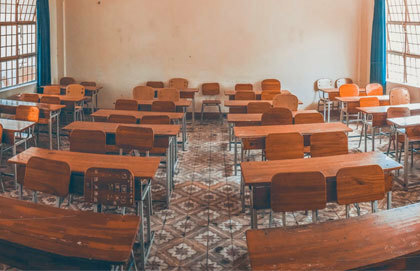 Critics argue that there should be only one public school system so that children are indoctrinated with the “public norms” rather than the “discriminatory norms” of Christianity. As we saw last year in the Canada Summer Jobs controversy, though, making the distribution of public money contingent on certain beliefs (or non-beliefs) is dangerously totalitarian, not to mention contrary to the Charter. If we are not willing to allow government funding for Christian education, then where do we stop? Should provincial governments refuse to accredit Christian schools because their teachings are unpopular? If so, why not carry the principle further and take away other benefits given to religious people who have the “wrong” ideas? Maybe I should not be issued “government support” by means of a driver’s license because I believe differently than the government? Such contempt evinces a disregard for the right of religious communities to live in accordance with their consciences. Historically, this attitude has been the source of much persecution against religion. It is the same hostility that, taken to extremes in other nations, forced so many people to flee to Canada in generations past. The ongoing travails of Asia Bibi remind us that religious discrimination is still a reality today. Authoritarian countries like China and Russia illustrate what may happen when freedom is compromised. Let us be wary of following their examples. Instead, let us respect the right, guaranteed in the Charter and in human rights legislation, of the religious parent to teach as conscience directs. Barry Bussey is legal director for the Canadian Council of Christian Charities.